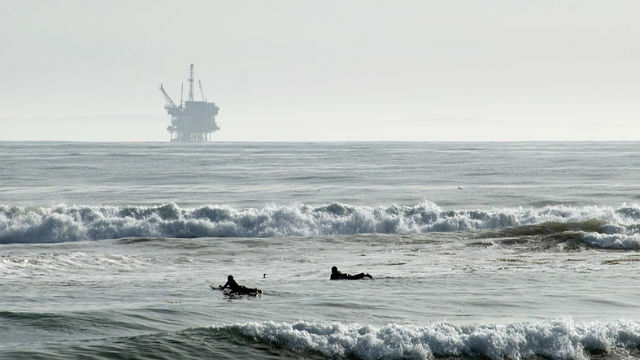 The San Diego City Council Tuesday approved a resolution opposing oil and gas drilling off the California coast. The vote on the resolution, which also opposes “federal and gas leases in all United States,” was 7-1, with Councilman Scott Sherman casting the dissenting vote. Councilman Chris Cate was absent. In January, the Trump administration proposed opening up U.S. coastal waters to drilling, a move opposed by many coastal state governments. Several council members stressed that drilling would harm tourism, the San Diego economy and the marine environment. “We can be successful, as well, if we stand united on this,” Alvarez said. Sherman added that the city pays lobbyists to relay San Diego’s message to Washington, D.C.
Councilwoman Lorie Zapf disagreed, saying this resolution is different. “We do our (economic) part with our military,” she said. Zapf said she will testify Thursday in Washington, D.C., before the federal Bureau of Ocean Energy Management. Zapf added she’ll also hand-deliver the city resolution to Interior Department officials and the BOEM, along with California congressional representatives. Councilman Mark Kersey said he was voting yes because the state of Florida got a waiver on drilling. “In this case, the resolution is appropriate,” Kersey added. Earlier Tuesday, Councilwoman Barbara Bry, Ward and Zapf appeared at a rally on the City Concourse, organized by the groups Oceana and SanDiego350 in opposition to any drilling. In other actions, the council voted unanimously to give $7,000 to I Love a Clean San Diego for the 33rd annual Coastal Cleanup Day.